We promise, if our petition is granted, to glorify thee by making know thy favor, to bless and sing thy praises forever. Relying then upon thy merits and power before the Sacred Heart of Jesus, we pray thee grant that [here mention your request]. Recite the Our Father, Hail Mary, and Glory Be three times each. There have been Saints who received the favor of dying on a day specially dedicated to the Madonna. 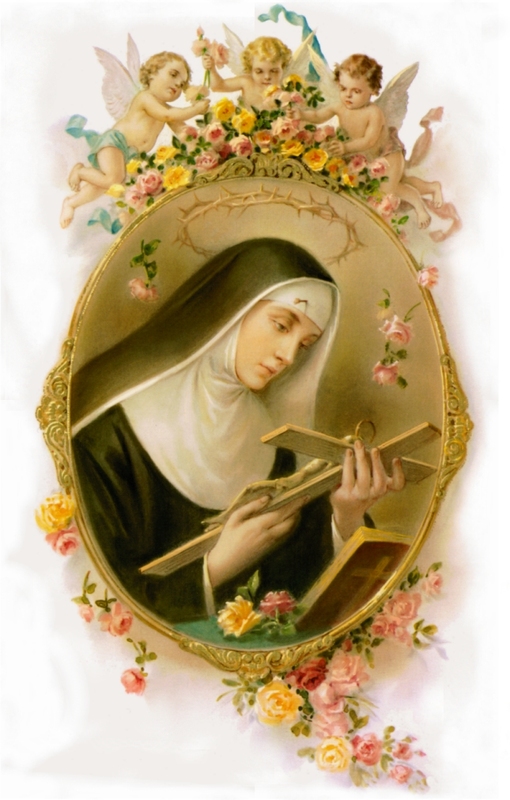 St. Rita of Cascia died on a Saturday in the month of May. St. John of the Cross likewise died on a Saturday. St. Jacinto and St. Stanislaus Kostka died on Assumption Day. Blessed Magdalene de Canossa died on the Feast of Our Lady of Sorrows. Blessed Stephen Bellesino requested and obtained the favor of dying with a lucid mind while praying the Rosary, and this was on February 2nd, the Feast of Mary’s Purification. St. Gemma Galgani died on Holy Saturday. St. Maximilian M. Kolbe died on August 14th at the time of First Vespers of the Assumption.